When we have an algebraic expression and asked to evaluate or simplify given the values. Note: Make sure you multiply if you see two letters in example (x•y) next to each others or you see parenthesis in example x•(c+6). 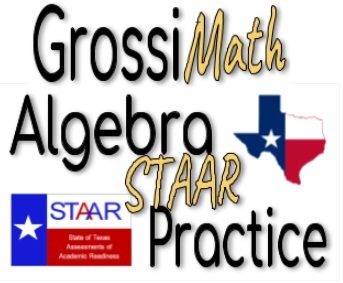 to Evaluate an algebraic expression if you are given the values of the letters , example x=-1 , and y=-2 , Evaluate 2x-5y ? We use it when we have an equations with answers in a multiple choices. 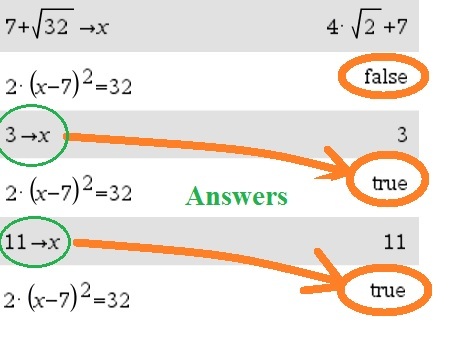 Which answer is the true answer for an equation linear or quadratic. Note: When you have ± , it means it two numbers in example ±2 means 2 and -2. When we have an algebraic expression with letters and numbers , no equal sign ! Which is equivalent expression to another expression. 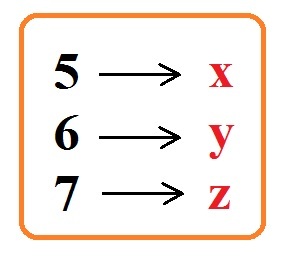 3- if you have only one letter such as x , you type 5 → x , if you have another letter you assign number 6 , and so on. 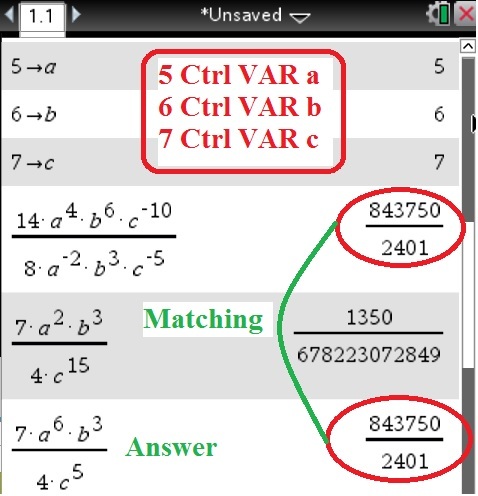 4- find the value of the expression and start typing the answer choices and whichever equivalent is the answer.